1- When and how should I file a reconsideration request? Websites that receive tons of random and irrelevant backlinks overnight they will be flagged as a spam source for Google search results and will be limited in Google search. As this point when you see your site is not appearing in Google search results or is not responding well to search results, you can check the action by “Check your site for manual action” in Webmaster Tools. 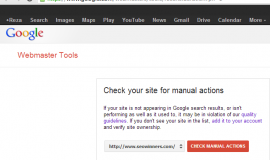 2- How to revoke the manual action against your website? To revoke the action against your website, first you need to make sure that your website no lover violates Google standard and guidelines. Then you need to set them to nofollow or remove them by contacting website owners which is less likely you get response. Next step is to use Disavow Links Tool available in Google Webmaster Tool to remove them from Google search results or even you can use 3rd party tools such as linkquidator.com. It is recommended to use domain-wide operator for websites with complex URL format, spammy websites such as low quality websites with auto created or article spinning content. Please watch Disavow Link Tool video below for more info. When you are sure you are happy to keep fair and reasonable and no more violate Google Quality Guidelines, then you can file a reconsideration request to Google via Webmaster Tools. Watch below video regarding Webspam Content Violations. 3- Should I file a reconsideration request if I think my site is affected by Panda and penguin updates? You are only eligible to file a reconsideration request if there is a manual spam action against your website by checking in previous step. If your website performance has only dropped and you do not see any manual action against your website in Webmaster Tools, then you do not need to file a reconsideration request as simply has nothing to do with manual spam action. If you are not sure, always you can file and ask which it takes from few days to 2-3 weeks to get a response from Google. 4- What should be included when file a reconsideration request? 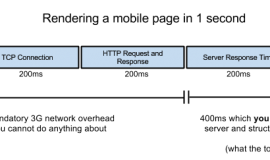 5- How Google respond to a reconsideration request? You will be receiving an automated email in your Webmaster Tools that someone from Google Team will be looking into the matter. After investigation from Google side, if you have stopped spamming them through your unreasonable links, then you will be informed that the manual action against your website has been revoked or if you still spamming them by creating millions of spammy links, then you should you know the answer better. For more information on when, how, why file a reconsideration requests, please visit our Goolge Help Center.